We generally expect that our wishes for medical treatment will be respected, but what happens when we are not able to make decisions, due to an accident, sudden illness or a progressive disease that impacts our decision-making capacity? An advanced care directive (ACD), often referred to as a ‘Living Will’, is a document that describes our future preferences for medical treatment in anticipation of a time when we are unable to express them. Having an ACD is entirely optional. You may prefer not to make decisions for the future but rather have these decisions made at the time the need arises. But often, having a reflective discussion about advance care planning and formally completing an ACD while you are healthy, can prepare all involved – health care professionals, family members and friends alike. It is particularly relevant when considering situations where inappropriate life-sustaining treatment or under-treatment may be applied. A complying ACD is a legally binding document in most states under statute law (and common law) in relation to the right to determine one’s own medical treatment. When drafting your ACD you may choose to prepare it within your Enduring Guardianship appointment documents, or alternatively have it drafted independently. Regardless of your preference, it pays to seek legal advice. Specificity, the ACD should be clear and specific enough to guide all involved in relation to both existing conditions as well as future anticipated conditions. Competence, you should be competent to make decisions about your health care, which can often entail your capacity to comprehend, retain, and weigh up the relevant information (preferably in consultation with health care professionals) and then decide. Currency, an ACD prepared a long time before it is referred to can still be legally binding if it was made when you were competent, however to make sure it continues to reflect your current intentions it is important to review it on a regular basis. And, witnessing, it is not always essential to have a ACD witnessed, however it may help to confirm your competence at the time of its drafting as well as provide some protection against forgery. The scope of your ACD may cover: medical treatment preferences; unacceptable situations in which life-sustaining treatment is applied (e.g. severe brain injury); how far treatment should go depending on your condition (e.g. terminal, incurable, or irreversible); nomination of a substitute decision-maker that health care professionals can liaise with in regards to discussions involving treatment decisions; and, other non-medical aspects of care (e.g. ‘creature comforts’ and dietary considerations). For an ACD to be acted upon, it must be readily available and its contents known at the time decisions need to be made. A simple approach to consider is for the nominated substitute decision-maker, as well as any health care professionals involved, to be given a copy (and any revisions) of the ACD. Although confronting and perhaps daunting to consider our own fragility, the need for an ACD is likely to become even more important in the next decade as a large predicted increase in the number of people with dementia and cognitive disability results in greater numbers with loss of capacity to determine their own medical treatment. 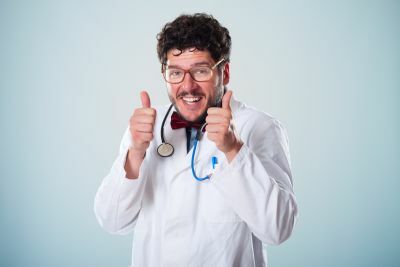 If you haven’t completed an ACD or it has been a while since you last reviewed yours, have a think about what you would like to happen in regards to medical treatment if a sudden or progressive disease was to take away your decision-making capacity. If you are unsure or have questions, please ask for assistance.